This is the PERFECT low-carb Keto Pumpkin Pie Mug Cake to statisfy your sweet tooth and all of your cravings for pumpkin spice! Picture this: it’s after dinner and you’re sitting on your sofa snuggled up to your pet, watching your favorite movie, when suddenly you get hit with a MASSIVE dessert craving. We’ve all been there, right?! You want something sweet, but don’t have anything on-hand. You may have some sort of cookie or dessert mix, but you probably don’t want to wait 45 minutes for it to bake! For times like these, I have the PERFECT (keto-friendly!) solution for you! This keto pumpkin pie mug cake will totallllllly satisfy your sweet tooth, while allowing you to stay in ketosis! One of the BEST parts about this recipe is that it only takes, at most, TEN minutes to make! No, that isn’t a typo. This yummy treat seriously only requires ten minutes of your time, and that includes the preparation AND cooking time! 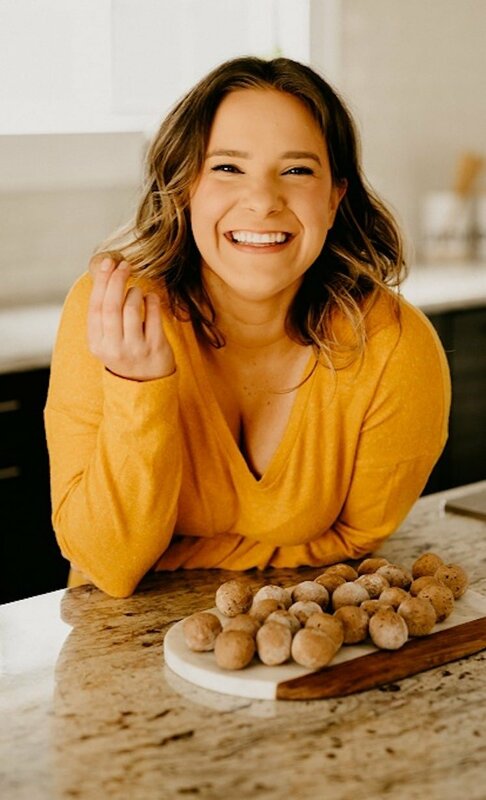 Not only is it a low time commitment, but the process is only a few simple steps, making this one of the easiest treats to whip together on a whim! I absolutely love throwing this together when my sweet tooth kicks in. What’s better than a nice pumpkin dessert on a brisk autumn evening? It is such a great way to stay cozy, especially if you eat it right after it comes out of the microwave when it is nice and warm… YUM. 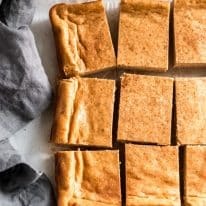 I mentioned that this recipe is totally keto-compliant, but it is also perfect for those following a low-carb diet. One serving (which is super simple to measure, as one serving = one mug cake) only contains 4.4 grams of net carbs! How can a dessert be so low in carbs? Well, it is made with Classic Lakanto Monk Fruit Sweetener, a great, tasty low-carb sugar alternative. Want to stay in the autumn spirit with some more Real Balanced pumpkin recipes? Try these Cream Cheese Pumpkin Muffins or these Pumpkin Spice Fat Bombs! 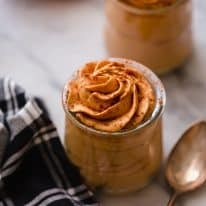 They’re just as tasty as the low-carb pumpkin pie in a mug! One of my favorite parts about this recipe is that it contains so many yummy spices that together provide such a rich, decadent flavor. Cinnamon, nutmeg, ginger, and cloves are some of the ingredients that add so much extra flavor while refraining from being over powering. It is truly the perfect combination of deliciousness! Just wait and see! 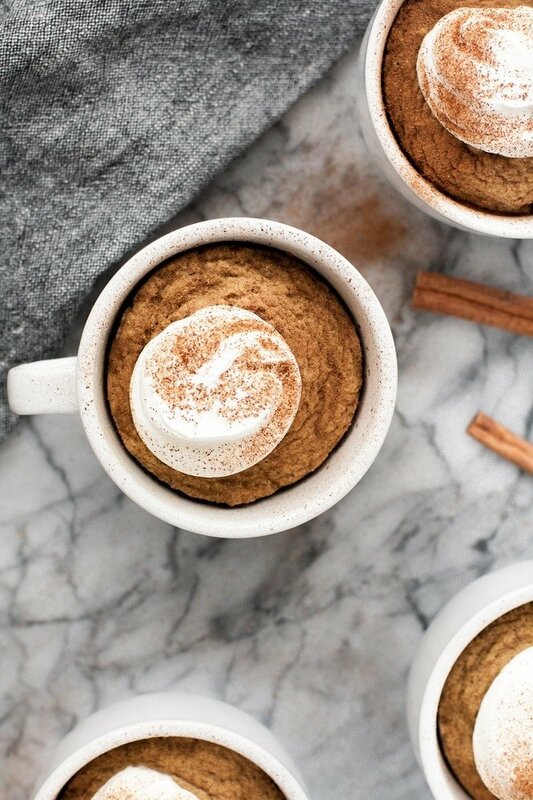 This keto pumpkin pie mug cake is going to be your new go-to! You will absolutely LOVE it! This pumpkin pie mug cake is sweetened with my favorite net-carb-free and keto-friendly sweetener, Lakanto Monk Fruit Sweetener! I prefer monk fruit sweetener in my desserts as it tastes exactly like traditional sugar without any weird aftertaste like other low-carb sweeteners seem to leave. If you are interested in ordering monk fruit sweetener, I am excited to share that I have partnered with Lakanto to share a Taste Test Bundle with you all! If you’ve been waiting to try monk fruit sweetener, now is the time to order! This deal includes classic monk fruit sweetener (which is used in this recipe here), golden monk fruit sweetener, a recipe e-Book, and Lakanto’s Taste Test Guarantee! Read more about and place your order for the Taste Test Bundle here! 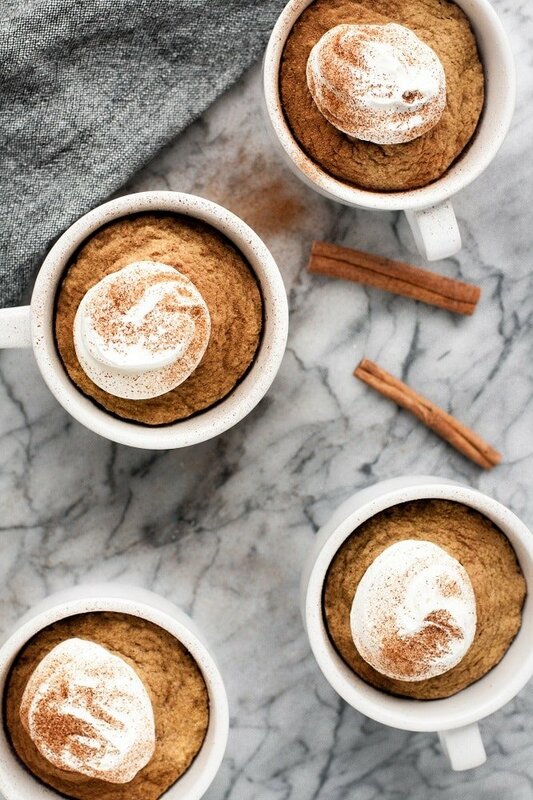 Pumpkin Pie in a mug is so easy to make! 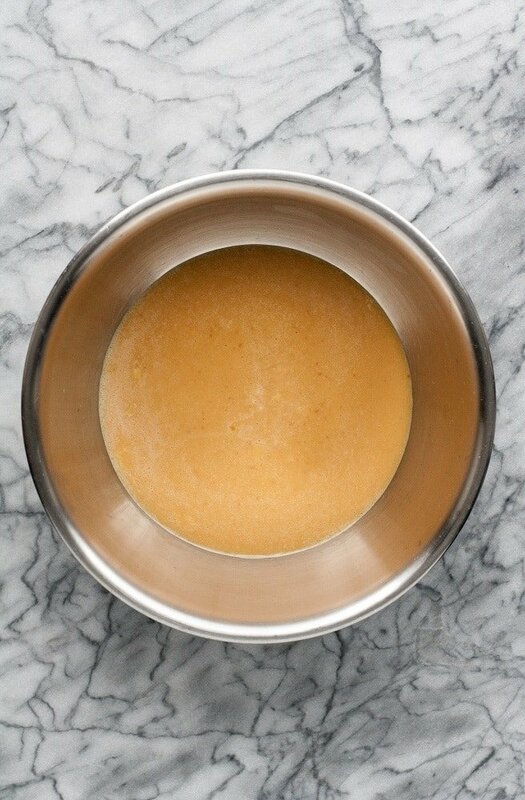 To a mixing bowl, add heavy cream and 2 tbsp monk fruit sweetener and mix on high with electric mixer until whipped. Cover with lid or plastic wrap and transfer to refrigerator to chill. 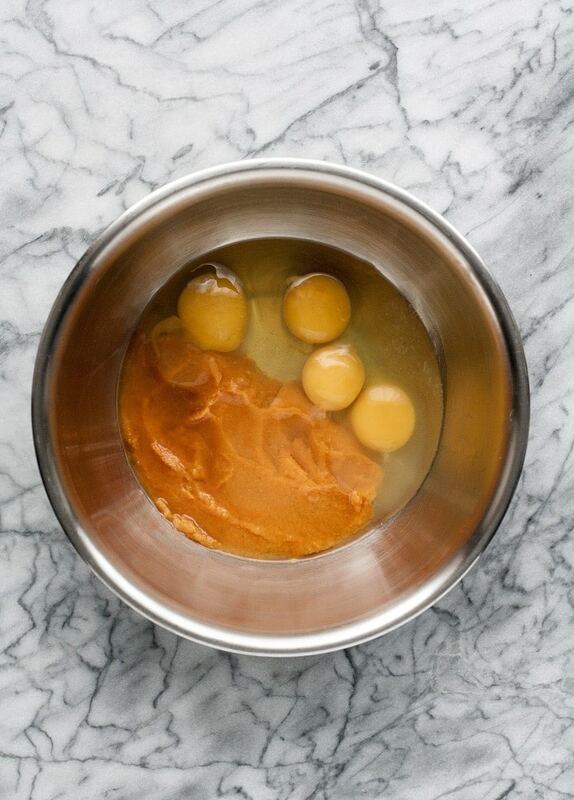 To a mixing bowl, add eggs, pumpkin puree, and vanilla extract. Using an electric mixer, mix together until smooth and ingredients are fully incorporated. 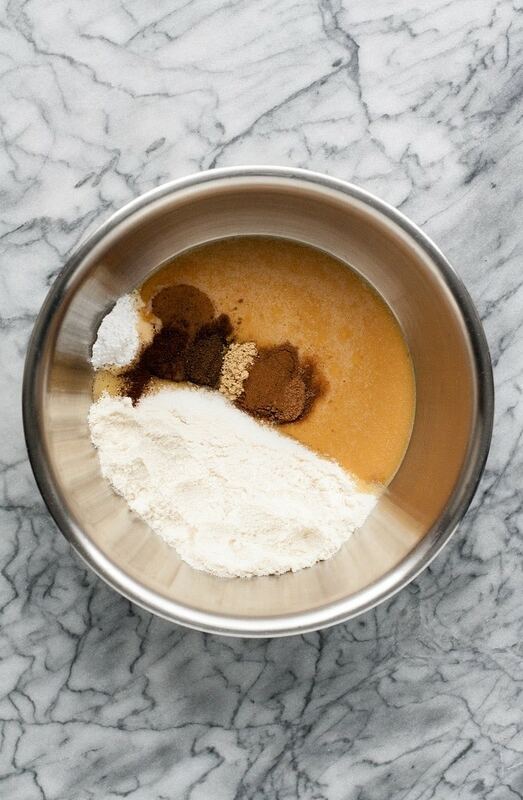 Add coconut flour, remaining monk fruit sweetener, cream of tartar, ½ tsp cinnamon, baking soda, allspice, ginger, nutmeg, and cloves and mix again to combine all ingredients. Coat inside of coffee mugs with nonstick cooking spray. Spoon ¼ of pumpkin mixture into each coffee mug. Microwave them one-by-one until cakes are cooked throughout, about 2 minutes. 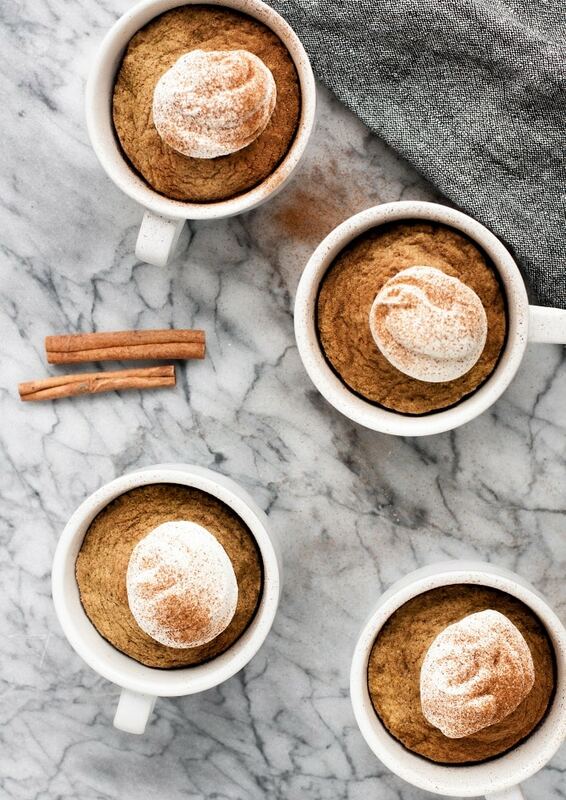 Serve mug cakes with a dollop of whipped cream and sprinkle of remaining ¼ tsp cinnamon on top. 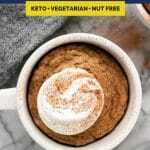 So tasty and perfect with many diet types, this keto pumpkin mug cake adheres to keto, low-carb, vegetarian, and primal diets. In addition, the dessert is nut-free and refined-sugar-free. It is a great option for so many lifestyles and DEFINITELY worth trying out! Compliant with so many diets! 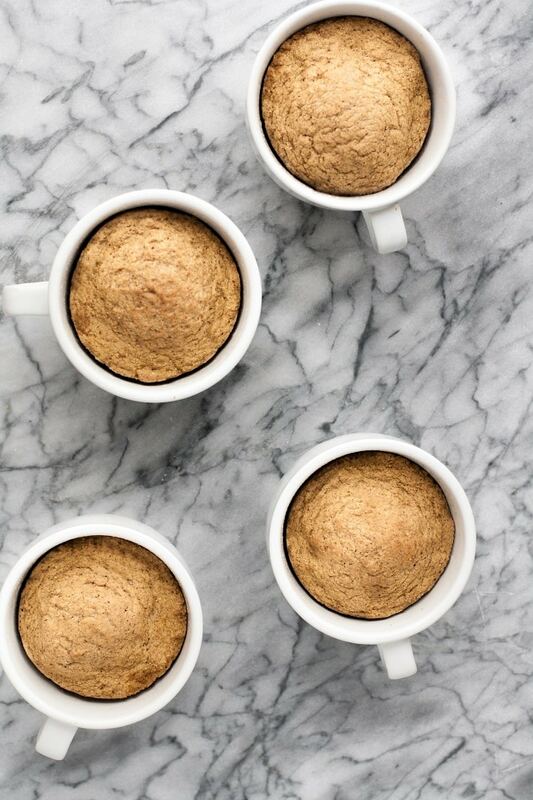 Low Carb and Keto: One serving of this keto mug cake only contains 4.4 grams of net carbs, making it perfect for those on a low-carb diet. Primal: Totally primal diet-compliant, this pumpkin dessert is a great option for those who adhere to primal diet restrictions. Nut Free: This pumpkin mug pie is nut-free and safe to consume for those with nut allergies or nut intolerances. Vegetarian: This recipe is a perfect dessert for vegetarians! Refined Sugar Free: This keto pumpkin pie mug cake uses Lakanto Monk Fruit Sweetener, and is completely free of any refined sugar. Looking for more low-carb desserts that will satisfy your sweet tooth? Try out these awesome ideas from Real Balanced! Looking for a quick and easy keto dessert? Try this healthy keto pumpkin mug cake. Not only is this pumpkin pie keto mug cake quick and easy but it is low carb, keto, and primal-approved. This low-carb pumpkin mug cake is also a nut free and sugar-free dessert! To a mixing bowl, add heavy cream and 2 tbsp (24g) monk fruit sweetener and mix on high with electric mixer until whipped. Cover with lid or plastic wrap and transfer to refrigerator to chill. To a mixing bowl, add eggs, pumpkin puree, and vanilla extract and, using an electric mixer, mix together until smooth and ingredients are fully incorporated. 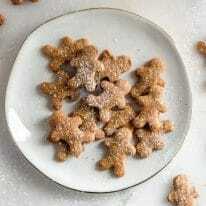 Add coconut flour, remaining 2 tbsp (24g) monk fruit sweetener, cream of tartar, ½ tsp cinnamon, baking soda, allspice, ginger, nutmeg, and cloves and mix again to combine all ingredients. Coat inside of coffee mugs with nonstick cooking spray. 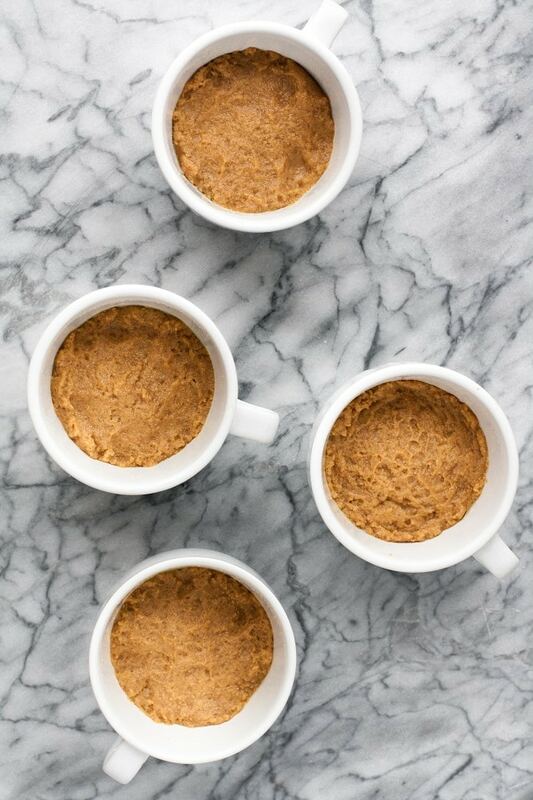 Spoon ¼ of pumpkin mixture (~100g of mixture per mug) into each coffee mug and microwave one-by-one until cakes are cooked throughout, about 2 minutes. * The microwave used in this recipe is 900 watts. If your microwave is stronger, the cook time may need to be decreased. Would like to make, but I am dairy free as well. Any recommendations for a substitute for the heavy whipping cream? Thank you. I am from Milwaukee as well! Hi, Mary! 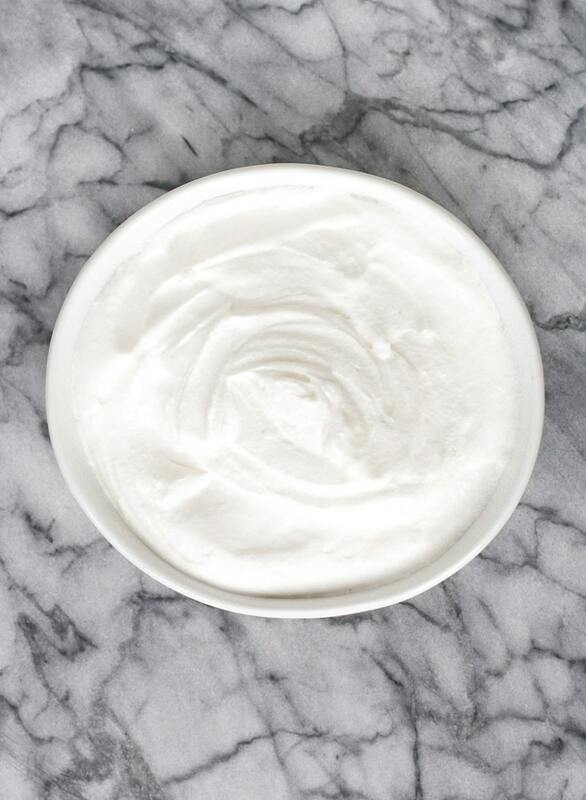 I would altogether skip the whipped cream if you do not eat dairy. 🙂 The mug cake will still taste delicious! You can use coconut cream (refrigerate the can overnight).